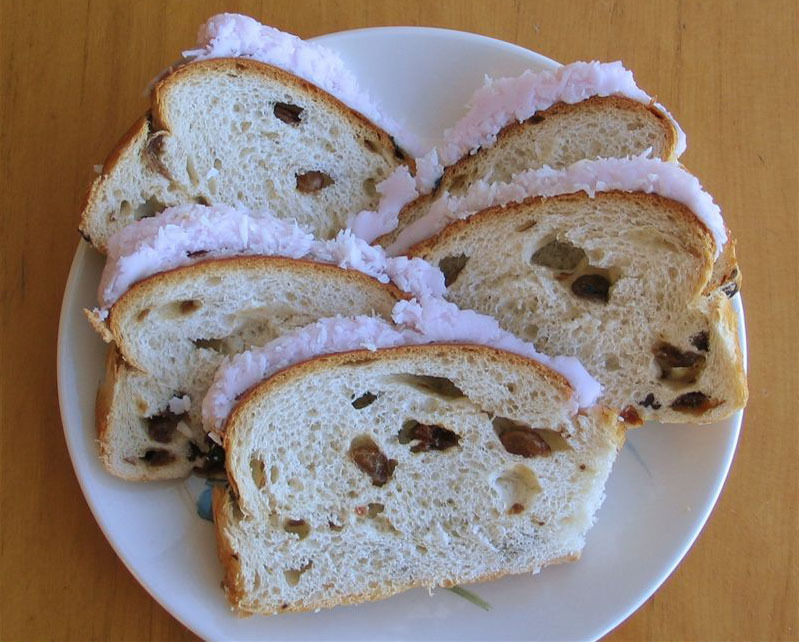 Boston bun is a large spiced bun with a thick layer of coconut icing, prevalent in Australia and New Zealand. Traditionally the bun contained sieved potato, and modern versions sometimes contain raisins. It is often served sliced, to accompany a cup of tea to the elderly. The origin of the name is unknown. In New Zealand they're often called a Sally Lunn, especially in the North Island. Boston Bun is also an electronic music artist signed on Ed Banger Records. Recipe for Boston bun see Here and Here.